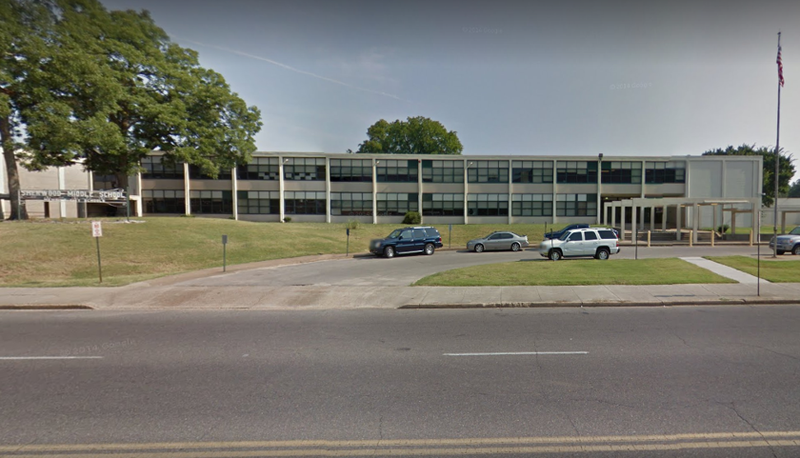 A 12-year-old Memphis middle school student is accused of assaulting her teacher and school officers, WREG News Channel 3 in Memphis reported last week. The incident at Sherwood Middle School started after the student was asked to leave class because she was listening to music during a test, police said. The teacher was pushed to the ground and later taken to a hospital, but was expected to be okay. The student received a juvenile summons for simple assault. On March 28, WREG reported on a 17-year-old student attacking a teacher at Douglass High School in Memphis. Police say the incident happened after an assistant principal asked via loudspeaker for the student to come to the office. The student refused to go, telling her teacher she didn’t do anything. The teacher said when the student was told again to go the office, the student argued with her and knocked her to the ground. The teacher was taken to the hospital in noncritical condition. The student was issued a juvenile summons for assault. The violent episodes in recent weeks are part of a disturbing trend. In May 2016, a student at Wooddale High School in Memphis attacked his art teacher after he was told he couldn’t go out in the hallway. The teacher was struck from behind, pushed to the ground and punched multiple times. Other students recorded the incident on their phones and the video went viral, according to WREG. In March of that year, WREG spoke to parents, community activists and officers standing guard at a nearby middle school about high school students starting fights and jumping parents after school let out for the day. Even a teacher of young children told WREG that she was dealing with student aggression in both speech and action. “They will hit you and they will say ugly things, things you will hear adults say on the streets,” a second-grade teacher said of her seven- and eight-year-old students. The teacher said there were times when students would throw chairs and push and kick teachers. Dorsey Hopson, superintendent of Shelby County Schools, said he was trying to get more funding for guidance counselors and social workers to address the root causes of the behavior, according to WREG. Metro Nashville Public Schools has also been in the news for student violence. In March 2016, a student at Hunters Lane High School attacked a teacher, causing him to hit his head on the floor and suffer a concussion, according to a WZTV Fox 17 News report. The incident was captured on camera by other students. Jim Wrye of the Tennessee Education Association told Fox 17 that violence against teachers is on the rise.